How to Select a Control Panel that Won’t Let You Down - Simplex System Controls Inc. Selecting a control panel for your manufacturing operation is one of the most important business decisions you’ll make. After all, control panels are the nerve center of your operation – they handle everything from starting equipment to running complex operations throughout your facility. It’s tempting to purchase a control unit based solely on price. The assumption being that all units are essentially of the same quality, so why not choose the least expensive option? Control panels, however, are not all the same. To compensate for cost overruns earlier in a project, some producers will compromise on quality. In the long run, these compromises will cost your firm much more than any savings you may realize at the time of purchase. 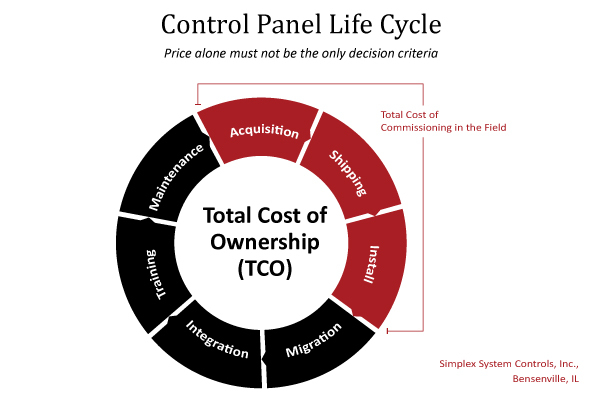 In a recent article, Dr. Matthew Liotine, Clinical Associate Professor of Information and Decision Sciences at the University of Illinois at Chicago, reviews the relationship between control panel quality and the total cost of ownership. Dr. Liotine elaborates that calculating the total cost of ownership requires that you consider the entire product lifecycle – from design to disposal. The total cost of ownership includes costs associated with commissioning, maintenance, repair, and loss expectancy. For example, panels of lower quality may require frequent repair. There is also the very real possibility of loss due to production stoppage. 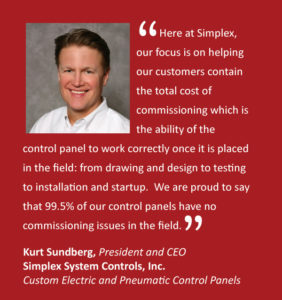 At Simplex, our focus is on helping our customers contain the total cost of commissioning. Our quote, build and test processes ensure that your panel works correctly once it is placed in the field – eliminating the need for expensive alterations and/or the need to re-engage engineers to resolve any issues. We are proud to say that 99.5% of our control panels have no commissioning issues in the field. Given the importance of control panels to your operation, what criteria can you use to ensure that you are getting the best quality? Dr. Liotine, provides five criteria you can use to evaluate and select control panels and suppliers. The design and construction should comply with all relevant industry codes and best practices including NEMA, IEC, NEC, and/or NFPA. Look for panels produced by suppliers that employ high quality management and control processes, such as those embodied in the Six Sigma framework or ISO9000. Consider the ergonomics of the panel design. Well thought out placement and labeling of buttons, displays, components and cables will not only improve productivity, but also help to reduce the time needed for maintenance and repair. Ensure that the supplier understands your design and operational requirements. Reputable suppliers will review your needs in detail and identify any potential design or commissioning issues. 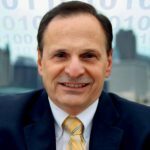 Look for suppliers that have earned their reputation. Supplier reputation is often a marker of product quality. Entrusting your high revenue production lines to the lowest bidder is a risky proposition. A control panel or supplier of inferior quality will likely increase your cost of commissioning as well as the possibility of delays and production stoppages. We often hear from customers that they wish we had built the custom control panel they just had installed. Why? Our team leads the industry in knowledge and support. Our shop employees average 17 years of industry experience and our project managers average 24 years. Learn more about the Simplex Advantage here or call us at 630-766-8401.